Vader: "Crap, do I hate crossovers..."
Re: First Starfleet, now this? 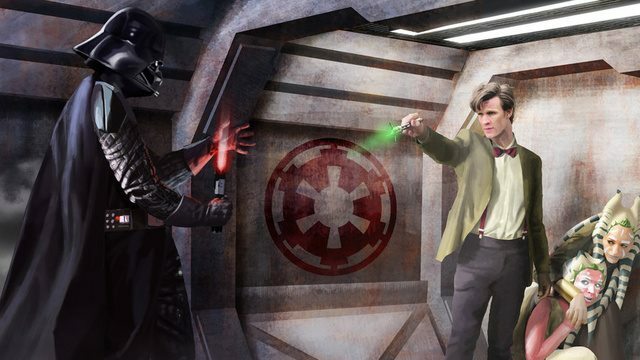 Vader: "A sonic screwdriver? Versus my lightsaber? You must have a screw loose." Crispin Glover auditions for the Star Wars remake. Vader: S---, I hate it when I get my Schwartz twisted! Vader: "Wait a minute. This isn't some sort of 'slash' fan fiction, is it?"